I was working on a contracted project. All the thoughts, frustrations, guilt, and grief of my decision to leave my previous work came and grabbed hold of me. I threw my hands up and went to bed. I tried to quiet myself. I emerged from the covers. So I used some brown wrapping paper I use for shipping books. With what ever colors felt right. Out came a duck with a little bird by its side. 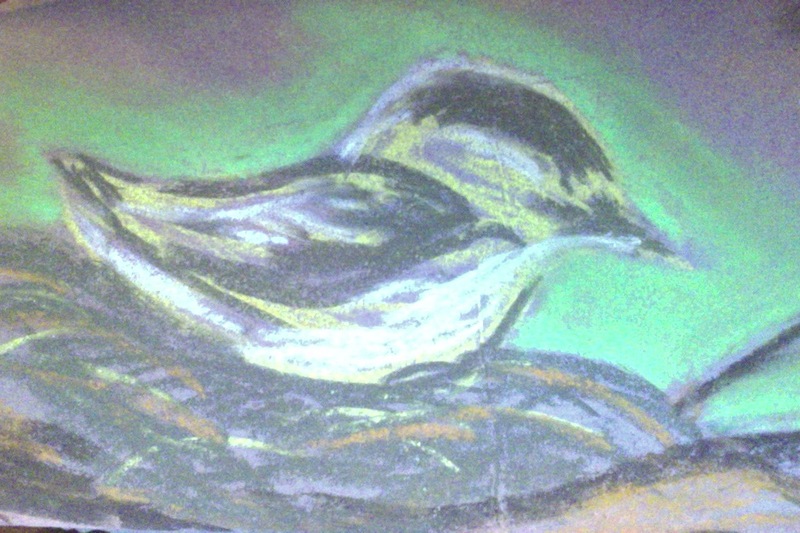 Then a chickadee on its nest. I ran out of paper! 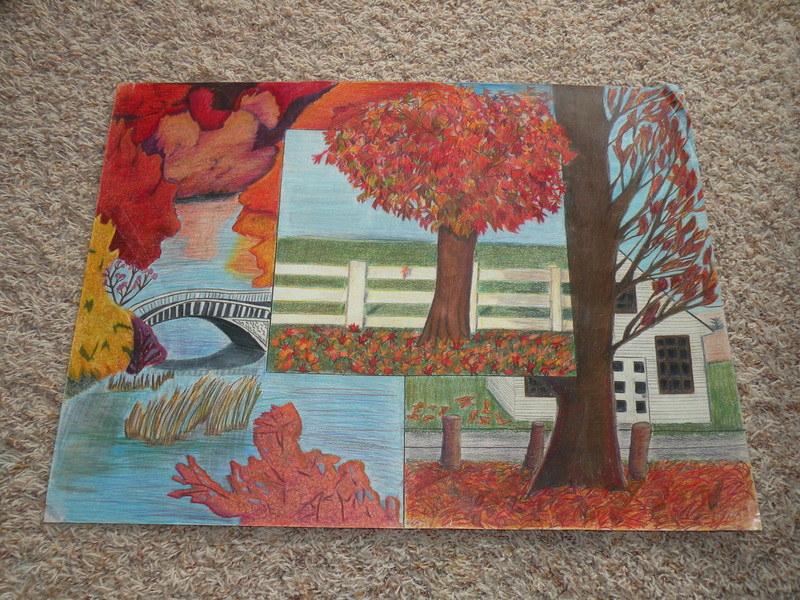 I just had to share the bliss in rediscovering the therapy of creativity. I visited some of my work from long ago and far away. 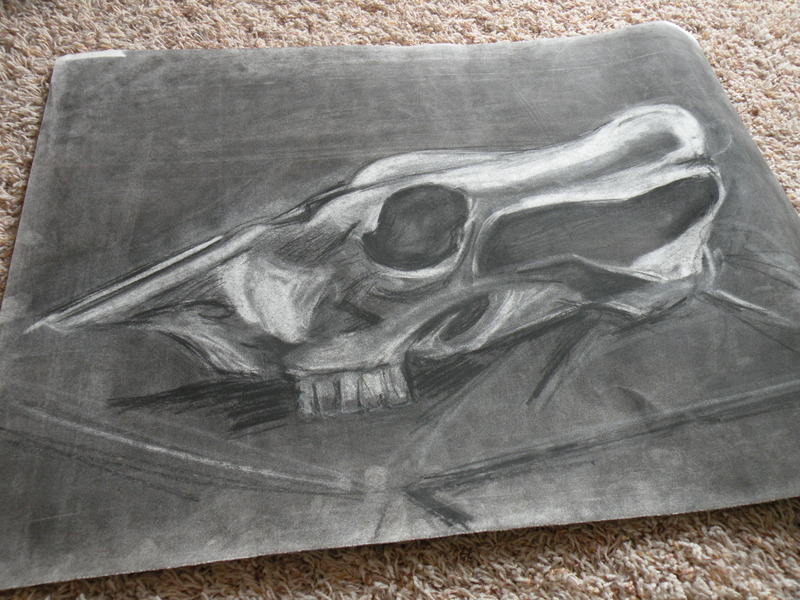 Cow skull, vine charcoal and white conte. 2003-2004. 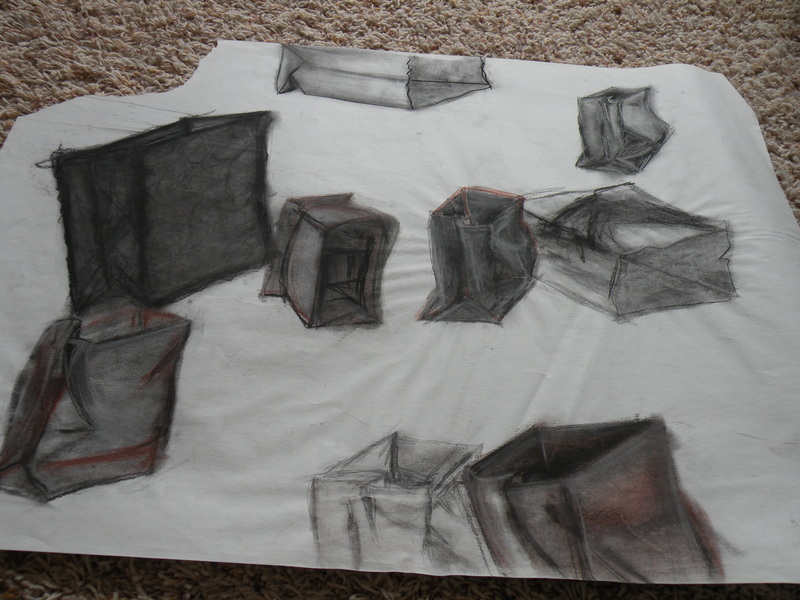 I had drawings of figures, still life, paper bags, bones. 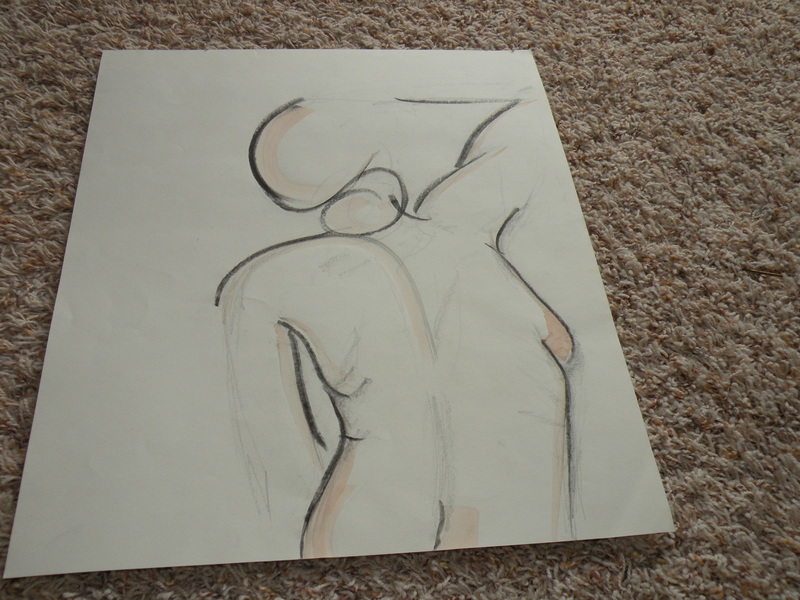 Figure drawing. 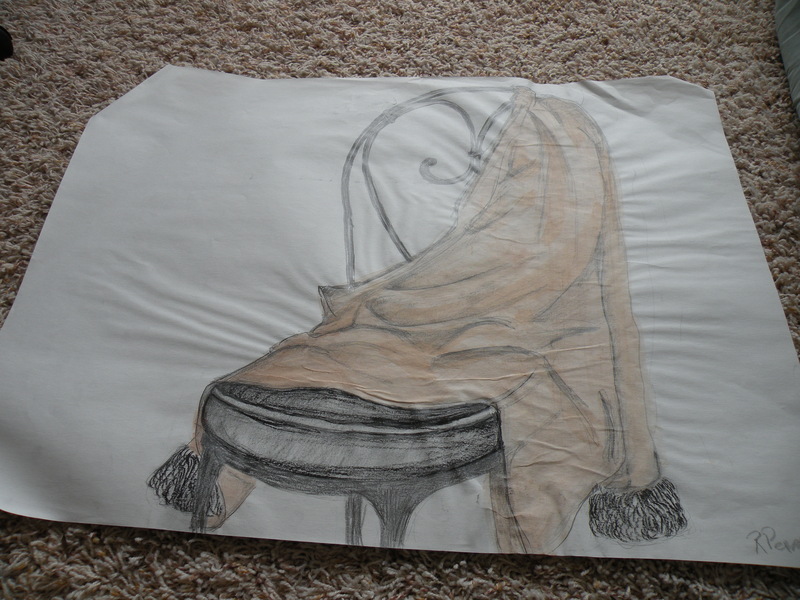 Pencil, watercolor, and charcoal. 2001-2002. Coat on Chair. Still life. Pencil and watercolor. 2001-2002. Paper bag study. Conte. 2002-2003. I had drawings that smelled of years of storage. Assorted treed landscapes. 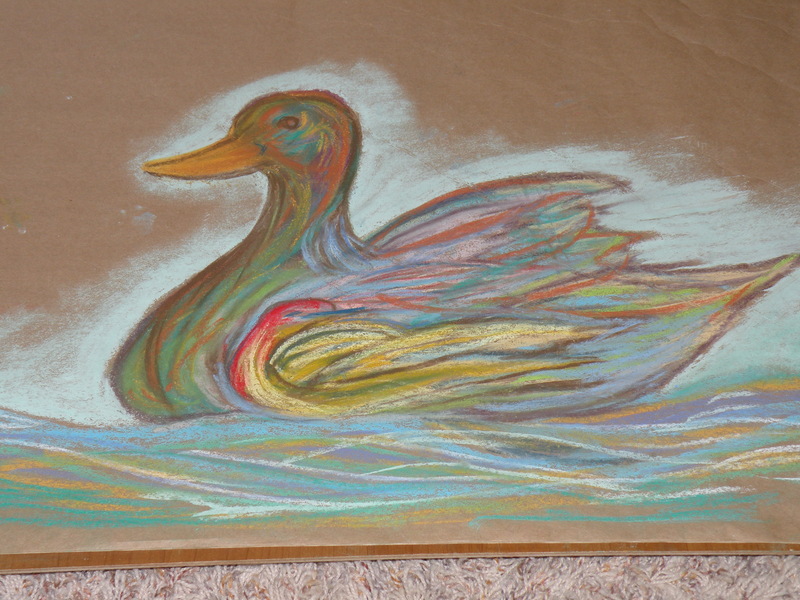 Colored pencil. 1999-2000. 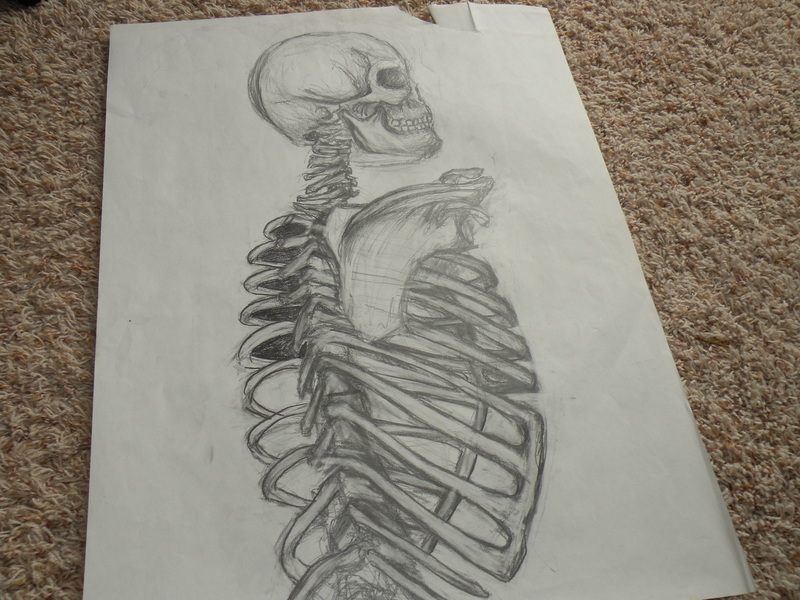 I had drawings that expressed multiple versions of me. Versions of myself that visit in dreams. Like forgotten lovers of long ago. “Why are you here now?” I ask. “Only to be here now.” They reply. Knowing what I am capable of. A being of creative expression. Posted in Overcoming Anxiety, Depression, and Grief, Recovering the Artist Within, Redefining Work and tagged accomplishing goals, art, breakthroughs, courage, creative, drawing, experience, joy, learning, personal growth, poetry, recovery, time. Bookmark the permalink.